Come have a great night’s sleep in this luxurious king bed, a scrumptious and healthy breakfast, and make yourself at home. 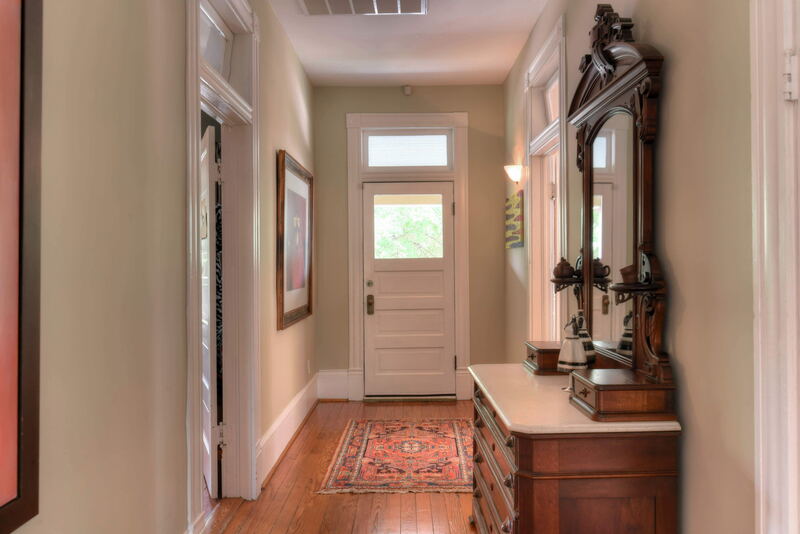 This 1908 home has plenty of space for work or leisure, and is a stone’s throw from the best the historic Houston Heights has to offer. 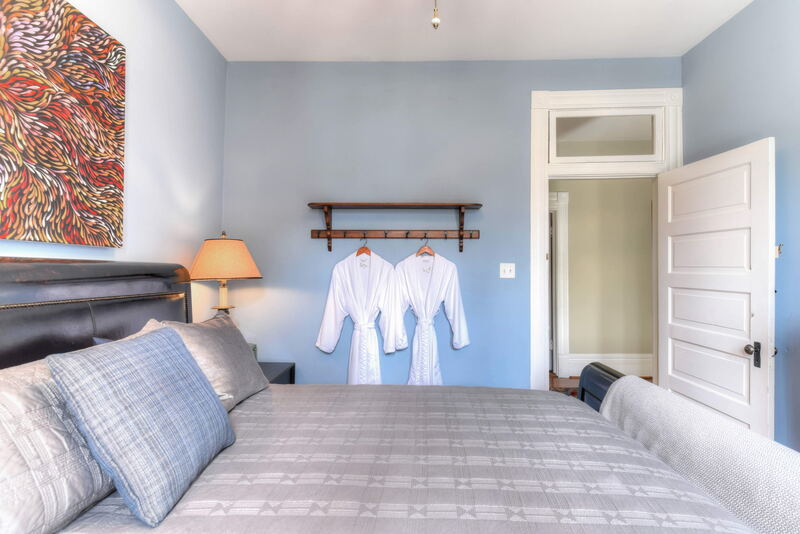 Welcome to Uphouse Manor Bed & Breakfast and the Blue Room! 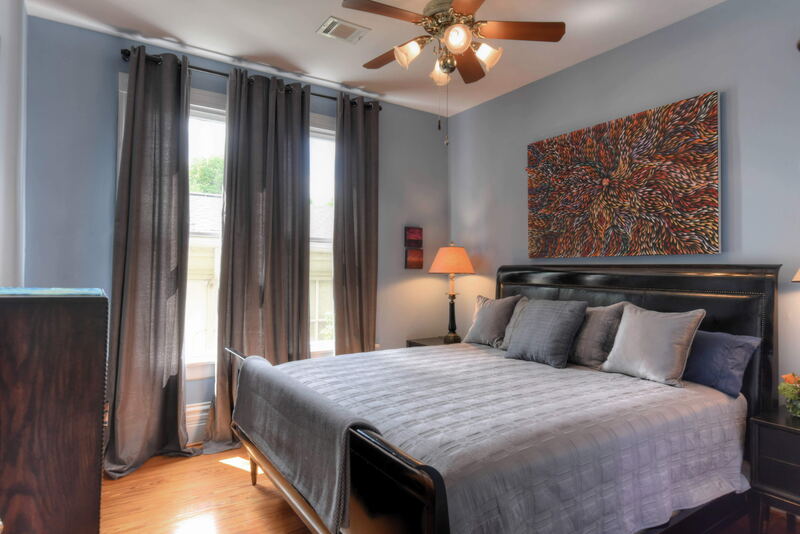 This cool and calming 2nd floor room features a comfortable king size bed, with hand-tied Kings Down mattress. Room shares the full bath with tub/shower with one other room on the 2nd floor (there is also another half bath downstairs), though the other room has a one-person occupancy and is rarely rented simultaneously. 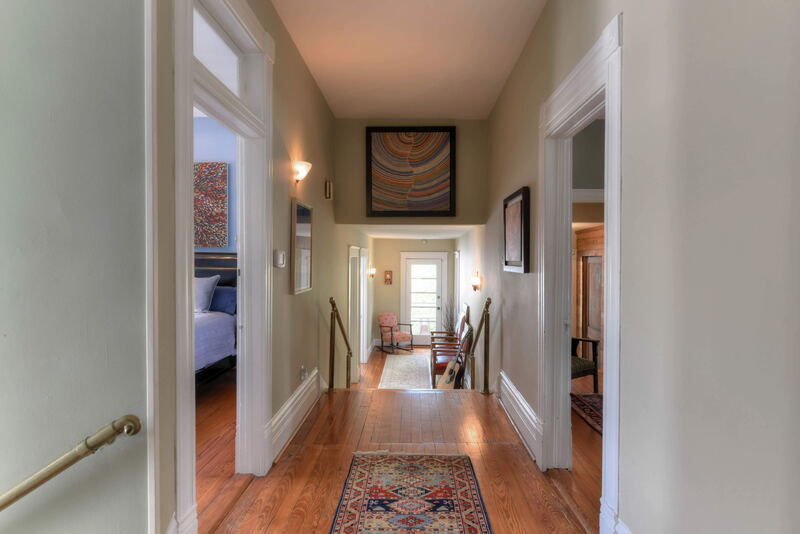 Relax in any of the many common areas of the house. Play the piano or guitar! Have breakfast on the second story verandah or in the beautiful dining room with a view to the gardens and morning birds. Customize your experience and enjoy tranquility close to the heart of Houston.